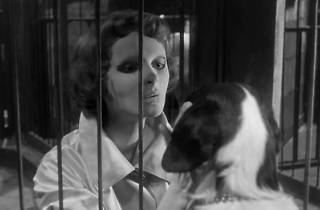 This film ranked #5 in Time Out's list of the 100 greatest French films. Click here to see the full list. An incredible amalgam of horror and fairytale in which scalpels thud into quivering flesh and the tremulous heroine (Scob) remains a prisoner of solitude in a waxen mask of eerie, frozen beauty. Having crashed the car which destroyed her face, her doctor father (Brasseur) feverishly experiments with skin grafts, each failure requiring his devoted assistant (Valli) to prowl the Latin Quarter in search of another suitable 'donor'. Finally, despair breeds madness and rebellion, erupting in an extraordinary sequence where the victim looses the dogs from the doctor's vivisection chambers to turn on their common torturer. 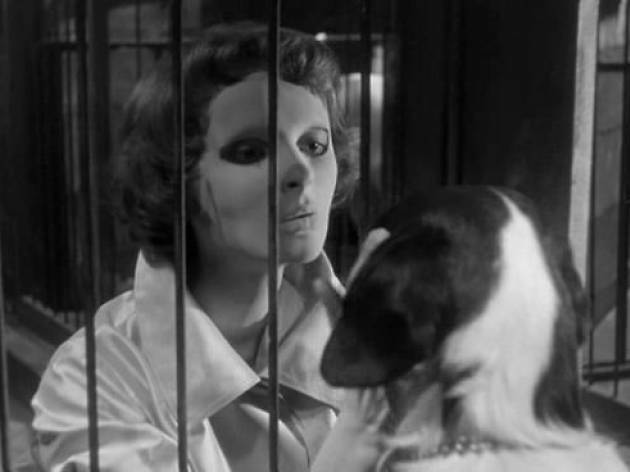 Illuminated throughout by Franju's unique sense of poetry - nowhere more evident than in the final shot of Scob wandering free through the night, her mask discarded but her face seen only by the dogs at her feet and the dove on her shoulder - it's a marvellous movie in the fullest sense.